Author/Editor, Political Satire at PoliSat.Com. Author, Clinton Liebrary Book. and Clinton Liebrary Book 2001 Edition. Speaker, Rubber-Chicken Speakers' Bureau; Clinton Liebrary Speakers' Bureau. Editor, News Leads, Links & Sources. 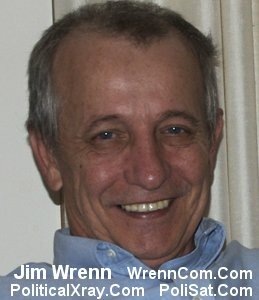 Jim Wrenn. Satire/Commentary--Generally/Daily. General Commentary: Focus on News.